Many grocery stores carry quite an array of apples these days — from bright green Granny Smiths to delightfully speckled Honeycrisp and Gala apples. 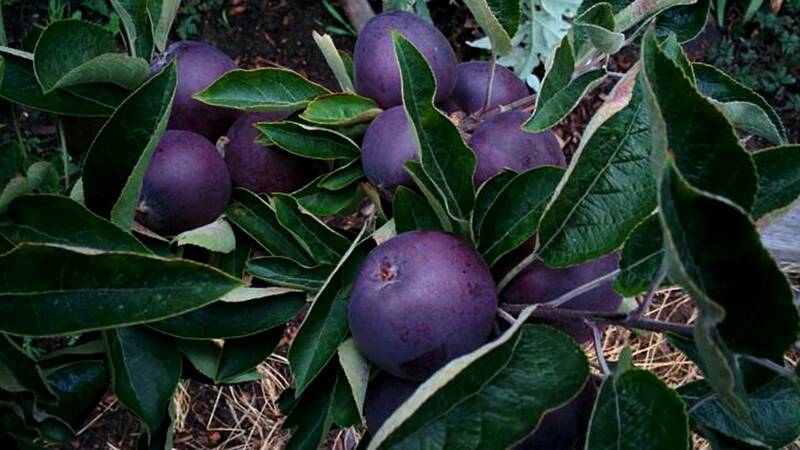 But unless you live in a very, very remote part of Tibet, chances are you probably haven't seen a black apple ... until now. Black Diamond apples are a rare variety from the family of Hua Niu apples (also known as the Chinese Red Delicious). The name is a little misleading because they aren't exactly black, but rather a dark hue of purple. The unique apples owe their color to their native geography in Nyingchi, a small city in the mountains of Tibet, where they receive a lot of ultraviolet light during the day but the temperature fluctuates very dramatically at night causing the skin to develop a deep, dark color. The flesh inside is white and bright like any other apple. However, if you won't be near China anytime soon, the U.S. has its own darker breed of apples, too: the Arkansas Black. While not super dark, these apples are much darker than a standard Red Delicious and would make a fun stand-in at any Snow White-themed party. So why don't we see the uniquely colored Arkansas apples among the Galas and Fujis of the world? 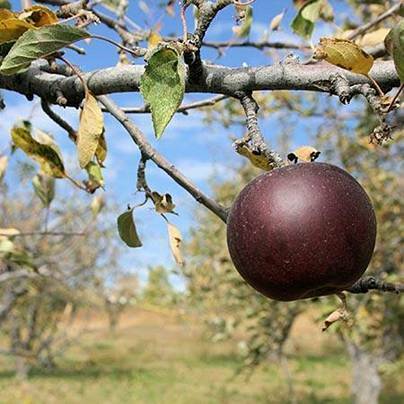 "The Arkansas Black apple is one that you have to store in order for it to taste good," Norm Schultz, a farmer at Linvilla Orchards in Media, Pennsylvania, told TODAY Food. "It takes a long time to develop their flavors." Basically, explained Schultz, Arkansas Black apples are picked in the fall (when other apples are harvested) but they're quite tart right off the tree. After being stored for several months, they develop a sweeter taste and their harder flesh softens up. It's a significant time investment for the farmer that doesn't always pay off — whether you're in the U.S. or in a remote Tibetan mountain. 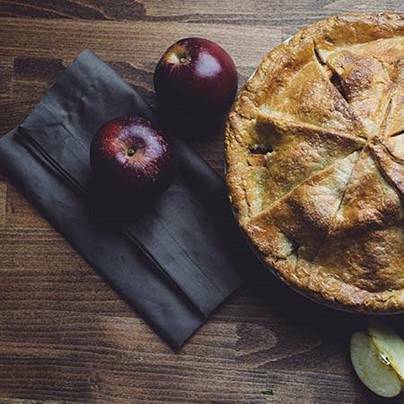 "I do know that many apple farmers don't like growing these unusual hybrids because it takes five to eight years to get fruit and they are unproven in the market," Mark Veeder, a botanist, farmer and founder of Farmacy Beauty said. But could that darker skin be imbued with better nutrients like dark, leafy green veggies? "An average apple provide 4 grams of fiber, around 100 calories and they contain a flavonoid called epicatechin, which has been shown to reduce blood pressure and support heart health," said the nutritionist. "Apples have also been shown to be anti-inflammatory and they are filling and satisfying." While these beautiful apples may not be more nutritionally beneficial than their brighter counterparts, they are definitely more expensive. These apples are produced within very limited windows and are sold for about two months out of the year. In China, they are only sold in high-end supermarkets (usually in gift boxes) and each individual apple starts at $7 but some can be as pricey as $20!